White male physicians had an adjusted median annual income almost $65,000 more –35% higher—than black male physicians, both of which made substantially more than their female counterparts, according to a study conducted by researchers at Harvard Medical School and the USC Schaeffer Center for Health Policy & Economics and published in The BMJ. “These results are significant because they show how far we still have to go in terms of equalizing economic opportunities in the US.” said Seth Seabury, an author on the study. “Physicians are fairly similar in terms of their education and training, so the fact that we still see these kinds of pay disparities is disheartening.” Seabury is an associate professor of research at the Schaeffer Center and the Keck School of Medicine of USC. In the general population, disparities in income driven by race and gender are well documented. These differences in income are often explained in part by factors like education, experience, or personal drive. Physicians are a unique group in this way though. They are a relatively homogenous group of individuals who have already self-selected through a stringent process with strict requirements in terms of education, licenses, and training. Thus, one would assume physician pay would be relatively similar among races and genders. The researchers analyzed earnings data from two national surveys: the USC Census American Community Survey (ACS) and the Health Systems Change (HSC) Physician Surveys. 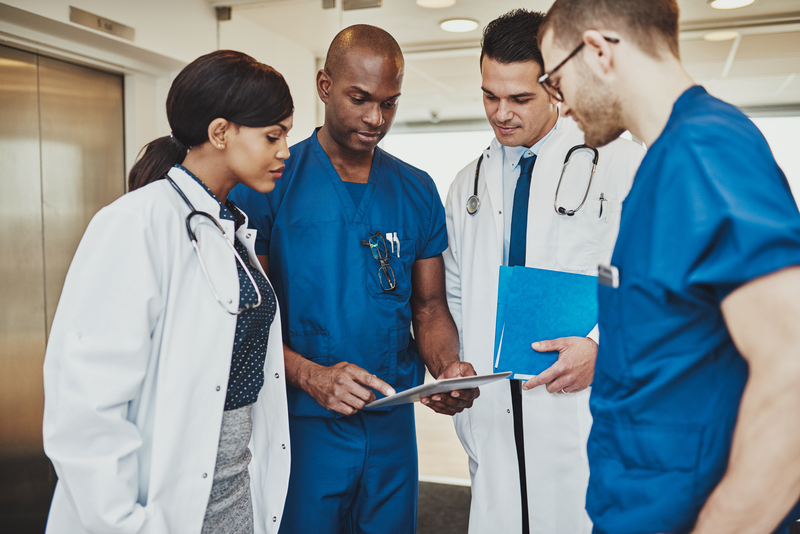 Results from both surveys showed a startling pattern of male physicians earning more than female physicians and white male physicians earning more than black male physicians. From the ACS survey, the researchers found white male doctors had an annual median income of $253,042 compared to $188,230 for black male doctors. Even more startling, white female doctors were found to have an adjusted median annual income of $163,234 compared to $152,784 for black female doctors, though this difference was not statistically significant. Thus, the difference between the median annual income of white male doctors and black female doctors was found to be over $100,000. The HSC Physician Surveys data provided more information that might explain physician pay but the researchers found similar trends. When adjusting for physician specialty and practice characteristics as well as age and hours worked, 35.4% of white male physicians had adjusted income over $250,000 while $27.1% of black male physicians did. Again, female physicians tended to earn less overall: 19.4% of white female doctors and 18.9% of black female physicians earned more than $250,000 annual income. The authors found the pay gap identified was not influenced by the factors known to influence physician pay: specialty, hours worked, geographic variability, and years in practice, or age. Furthermore, other trends in the data that might explain the earnings gap didn’t. For example, black male physicians are more likely to work in primary care and treat Medicaid patients compared to white male physicians (who are more likely to work in specialty fields). The authors also posit factors like bargaining power in salary negotiations, discrimination by employers and patients, and differences in clinical revenue as important considerations that might influence the income disparities.